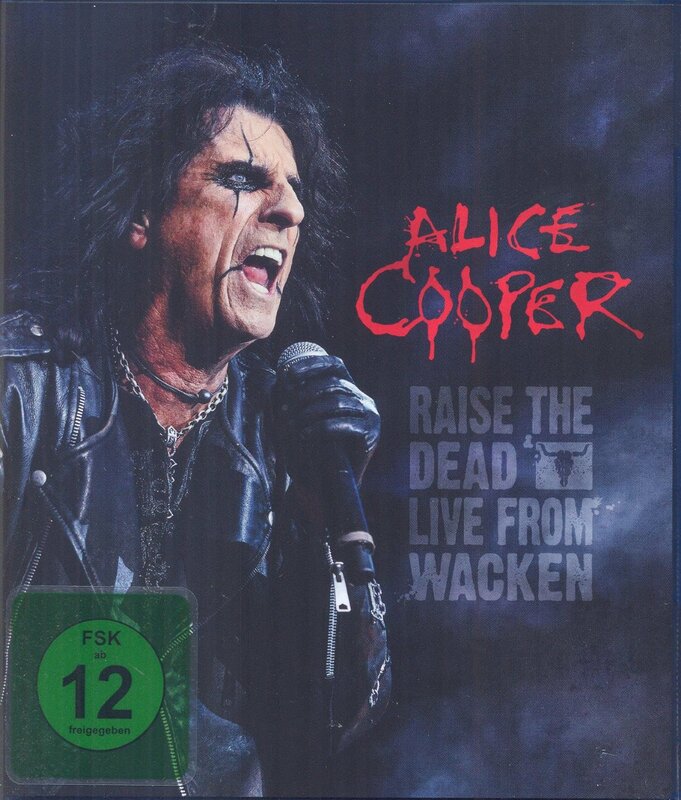 Raise The Dead Live From Wacken is a live album and DVD/BlueRay by Alice Cooper. It was recorded at the Wacken Open Air festival in Wacken, Germany on August 3, 2013. This includes a tribute to long lost rock legends like Jimi Hendrix, Jim Morrison, John Lennon and Keith Moon. As normal with an Alice Cooper show a good proportion of the fun comes from watching what is happening on stage as well as listening to the music. I’m not a big fan of music DVDs but Alice Cooper is an act that I may make an exception for. What do you think about this concert recording? Is this the best live album by Alice Cooper? What Are The TWO Best Alice Cooper Live Albums? What are the best hard rock and heavy metal live albums? This entry was posted in 2010s Live Albums, Heavy Metal Live Albums and tagged 2010s hard rock, 2013 Live Albums, Alice Cooper Live Albums, heavy metal 2013 by Paul Simister. Bookmark the permalink.